Soak the urad dal in water for 4 hours. 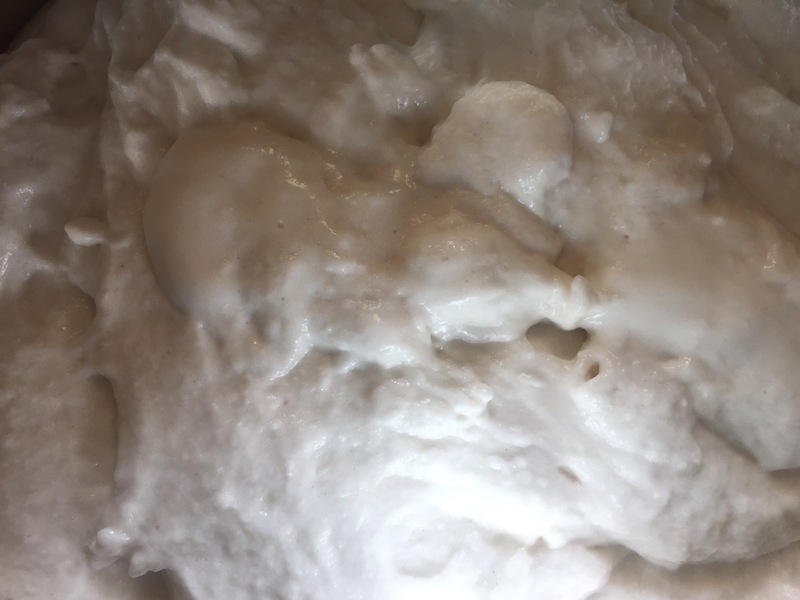 In a saucepan add jaggery and water and a pinch of cardamom powder and boil until it forms a thin sticky syrup. 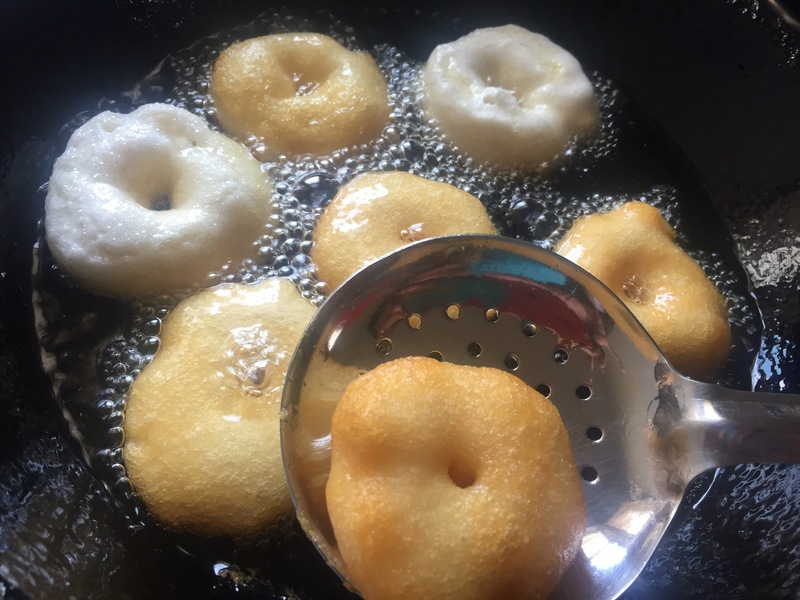 In a frying pan (iron kadai s best for deep frying) add oil to deep fry. Take a bowl of water, dip your hand in water and also wet n wipe a sheet or a leaf with water (so that the batter doesn’t stick). 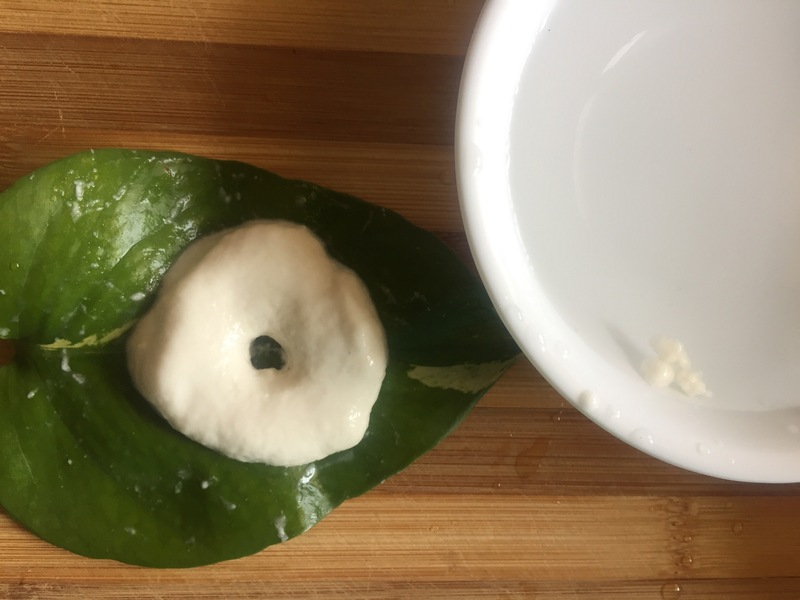 Then take a small ball sized batter and on the leaf flatten it into a vada. Dip one finger in the bowl of water again and make a hole in the centre as show in the pic. 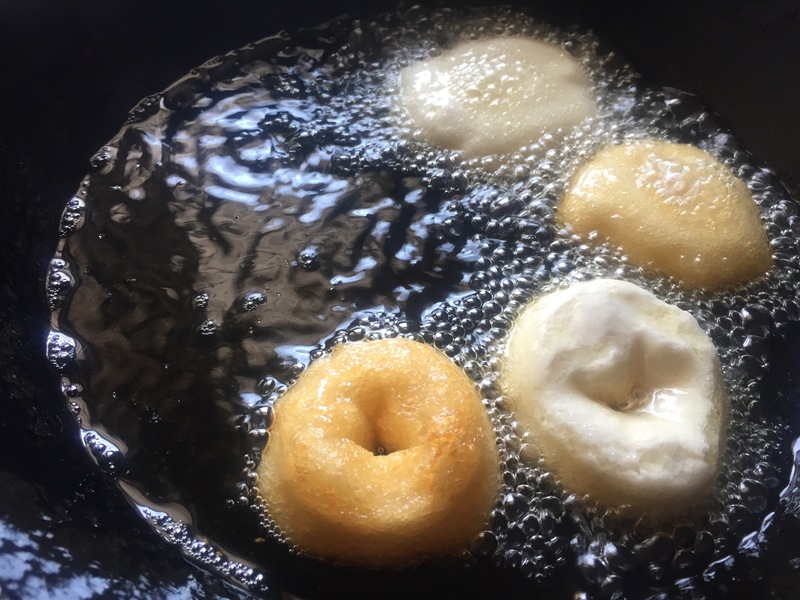 Once the oil is hot is heated, gently drop the vada into it <caution: stay a little far away from the frying pan, as sometimes the oil splitters>. You can add few more vadas n fill the frying pan. 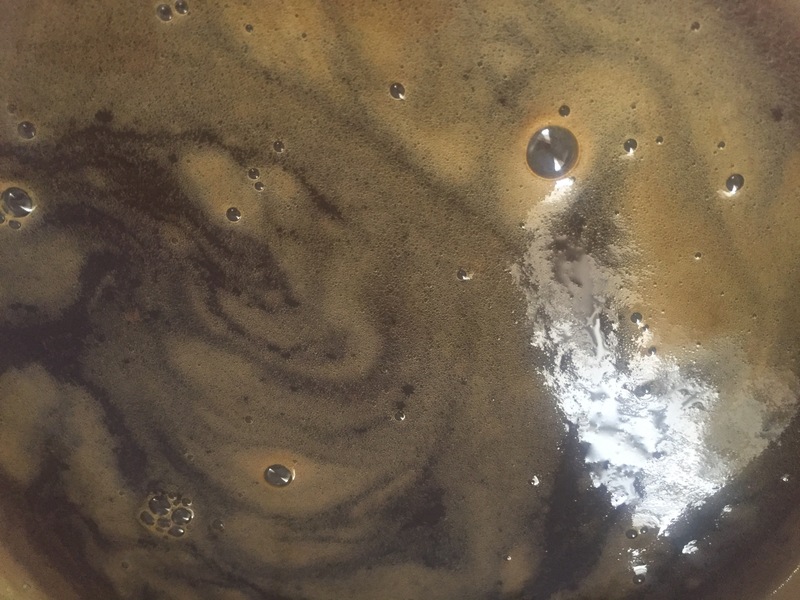 Once it turns golden brown gently turn it to another side using a ladle with holes. 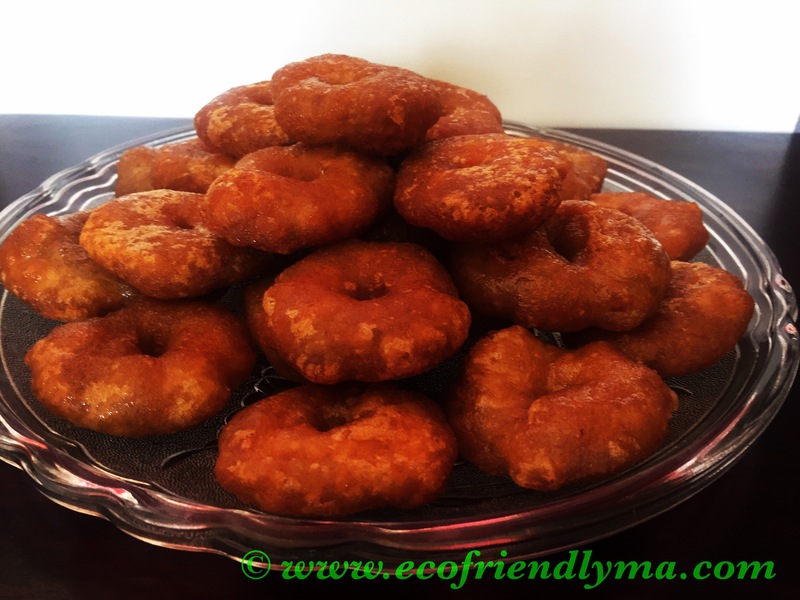 Once both the sides are brown n done, using the ladle, remove them from the oil <wait for few seconds until the oil drips down from the ladle into the frying pan> and drop in into the above prepared hot jaggery syrup. Let them soak until they completely absorb the jaggery – you will know by the colour and weight, they tend to drown to the bottom. Gently remove them from the syrup into the serving bowl and enjoy the bellam garelu!